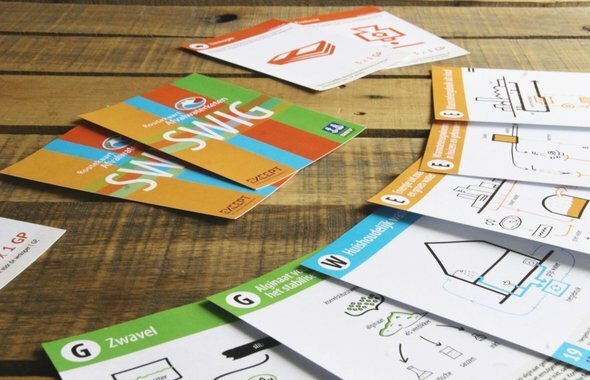 The game is a workshop game that consists of 57 colorful illustrated cards in categories such as solutions, requirements, innovations and actors. It can be played with 2 to 8 players, usually with a workshop coach present. All players in the game are both innovators and investors: they have a set of innovations in their hands and a set of investment assets to spend. The trick of the game is to advertise your innovations to the other players with enthousiasm and conviction, because the more innovations you put on the market, the more investment assets you posess to acquire your own innovations. 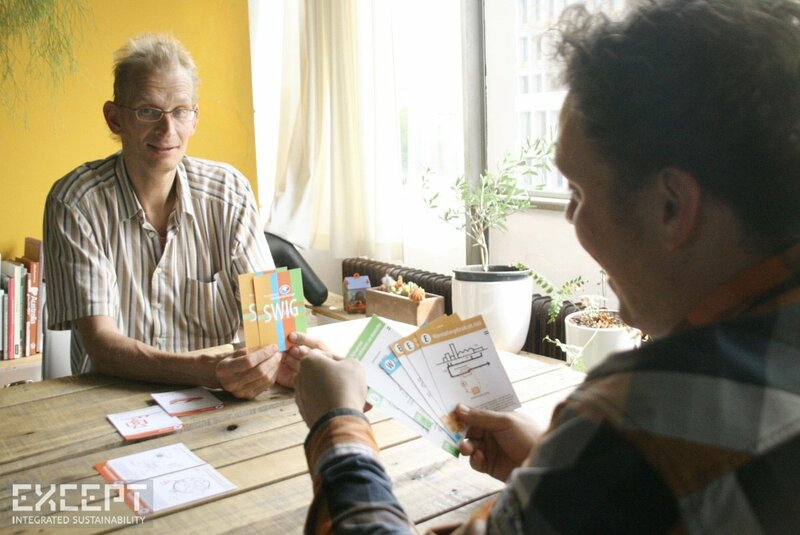 Under supervision of a workshop host, players discover the opportunities in the field of waste water management and get to know more about the other players: what knowledge do they bring to the table, and what opportunities do they believe in? 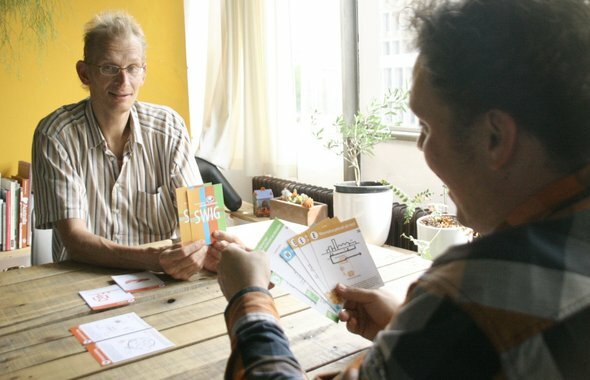 The game itself also throws some random developments into the mix, and the reactions and ideas of the players create a foundation for topics that can be discussed in the workshop. 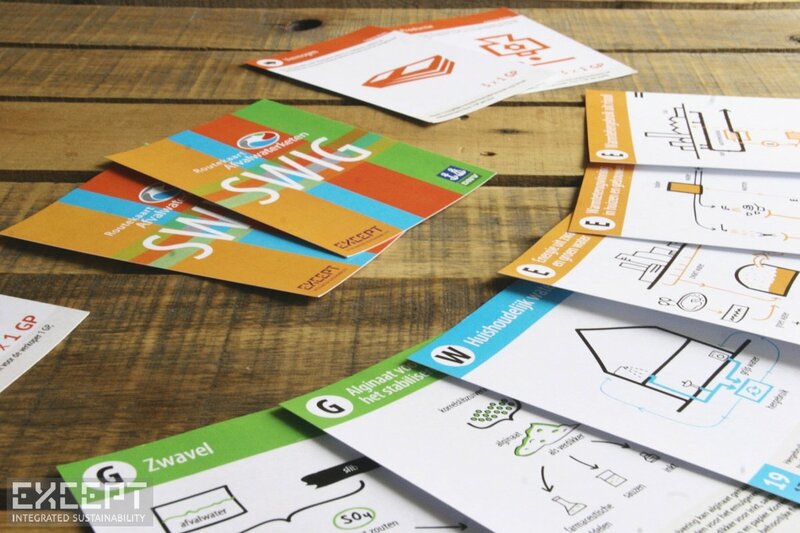 We designed the rules of the game together with DNV by having quick iterations of sketching, design, creation and evaluation. The artwork is created by Yulia Ink, who captured the essence of innovations in simple but very expressive drawings. The game was tested in workshops and results were integrated to fine-tune the flow and quality of the game.